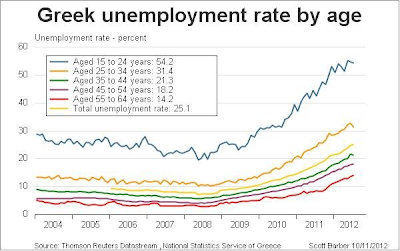 Greece's unemployment rate jumped to 25.1 percent in July, reports Markit Economics. This is up from 24.8 percent in June. 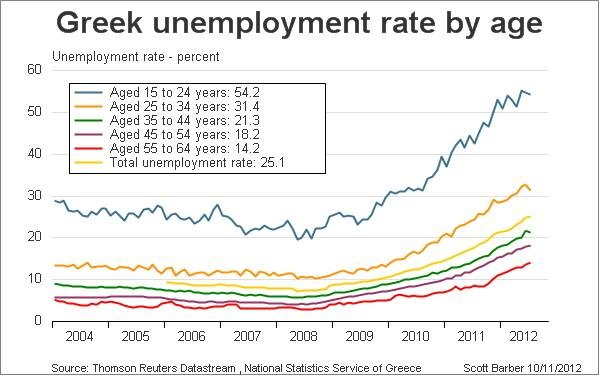 Even worse, youth unemployment is at 54.2 percent. Time to leave the EU and EMU for Greece if they want to get out of this mess.